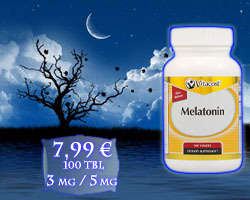 Each tablet contains 3 mg / 5 mg of melatonin, which is in charge of our bodies natural sleep cycle. This hormone our body can also produce alone, but also age due to external factors (radiation ..) his production declines. Are you interested in details? Do you have an interest in? Description and scope of melatonin can be found here. For any question contact me. If you are interested in this product, you only need to fill order. Melatonin is a powerful antioxidant endogenous type to ensure good sleep, stimulates the immune system and reduces the risk of breast cancer. Melatonin inhibits the formation of artificial lighting and late nights. The hormone melatonin is one of endogenous antioxidants, which means that, contrary to the known antioxidants such as vitamins C, E and beta-carotene, it the body does not receive from the diet, but the form it himself - twilight, at dusk - in the cerebellum of the hormone serotonin which is a source of good mood and overall well-being. In the opinion of scientists Melatonin has strong antioxidant effects and significantly protects against heart disease, cancer and eye cataract. It can neutralize the effects of stress and supports the immune system. Some enthusiasts even called for hormone melatonin youth, as slows the natural deterioration of organs caused to free radicals. 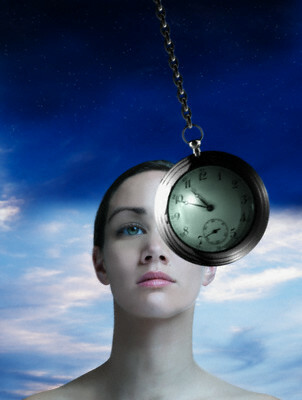 Melatonin is widely used in the treatment of insomnia, which is induced transitions, time zones. 320 people involved in double-blind studies, received 5 mg of standard melatonin (Ed . : What is melatonin also offered on this site), 5mg of melatonin sustained release, 0.5 mg of melatonin or placebo standard 4 consecutive days for air travel. Positive results have been observed with the use of a standard 5 mg of melatonin, it was the time taken to fall asleep, sleep quality, daytime fatigue and sleepiness. 15 children with chronic sleep disorders with melatonin were treated at doses of 2 to 10 mg taken at bedtime. The study authors observed the health and social benefits of treatment, and also improve the behavior of children.